Eclectic Paperie: My Little Love Notes! 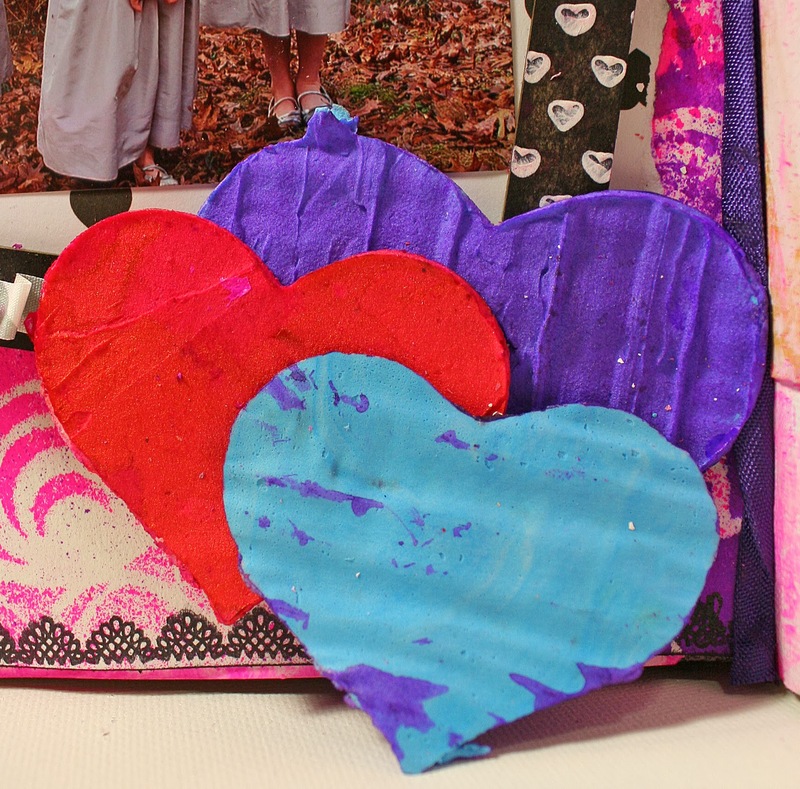 This week, I wanted to make an art journal page with the topic of Love Notes. Every time I thought about the topic, I just kept coming back to the idea that my girls, my babies, are my love notes. But I am always quite challenged when it comes to putting 'real' photos into my art. I never seem to get them to match or sit right, if that makes sense. But tonight, I think I got it! I managed to mix my love of going crazy with art supplies with my wish to be able to scrapbook! 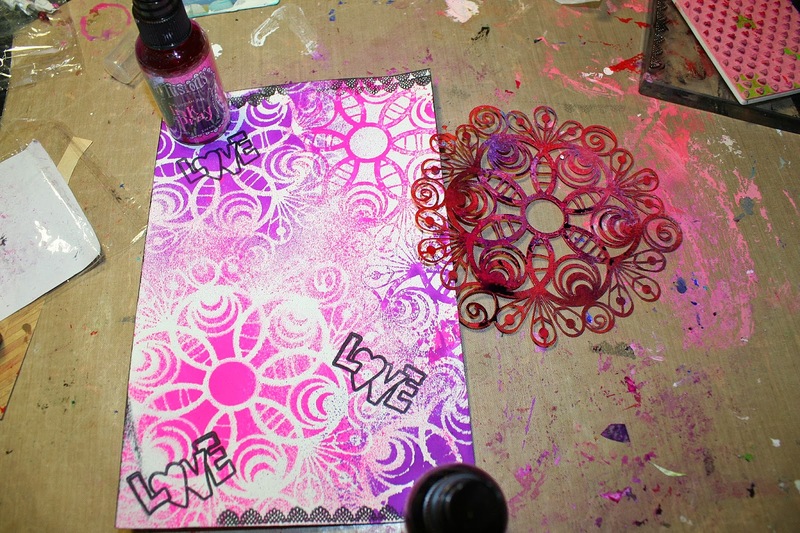 I started out with Dylusions, a stencil and a stamp. A couple of weeks ago, I made some heart embellishments out of modeling paste and gelatos. I had a few left but they were the wrong color for this page. 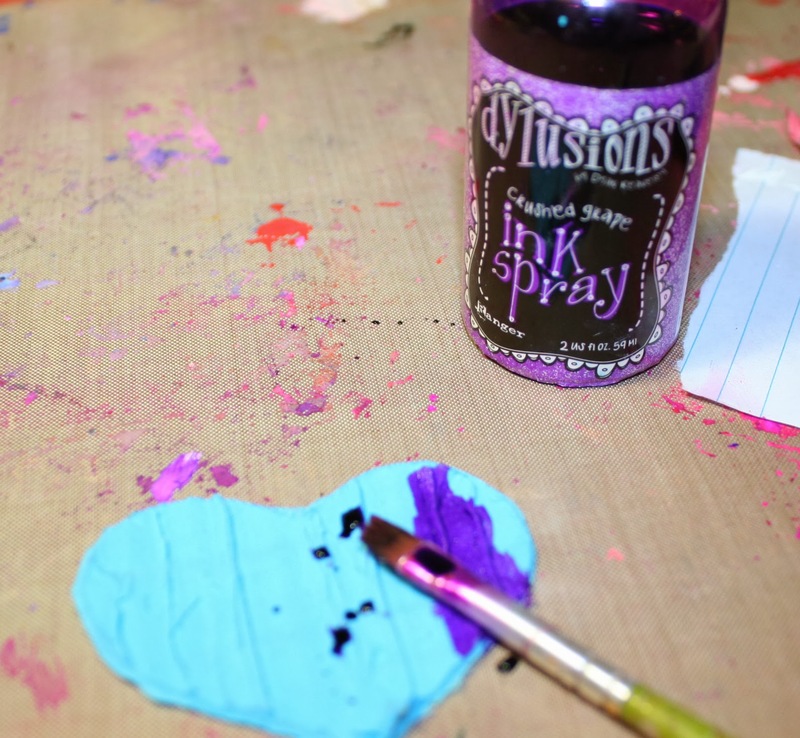 So I took a brush, dipped it into the Dylusions and 'painted' the hearts to match! Yummy fun! I added a Wendy Vecchi Square Frame Art Part Piece. I inked it and added some little white hearts with a stamp. Thank you for stopping by the Eclectic Paperie blog today ... let me know any tips you have for incorporating your pics into your art journals - I am determined to do this again!! Its nice how simple it can be to communicate with people and have them understand a certain topic before valentine, you made lovers day. This is so FAB, Karen! LOVE all of the details right down to the tiny white hearts on the frame! Great hearts and photo! LOVE! 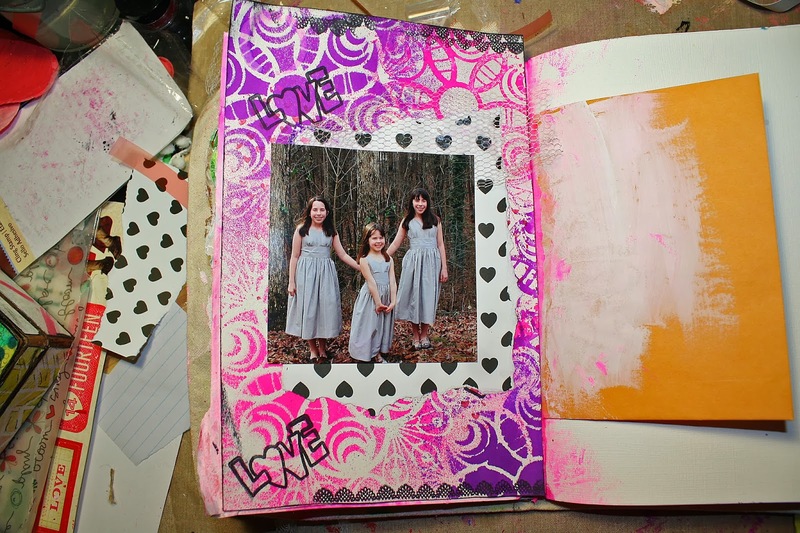 Wonderful page, love how all the artistic elements just compliment that adorable photo. LOVE the hearts and that photo!!!! 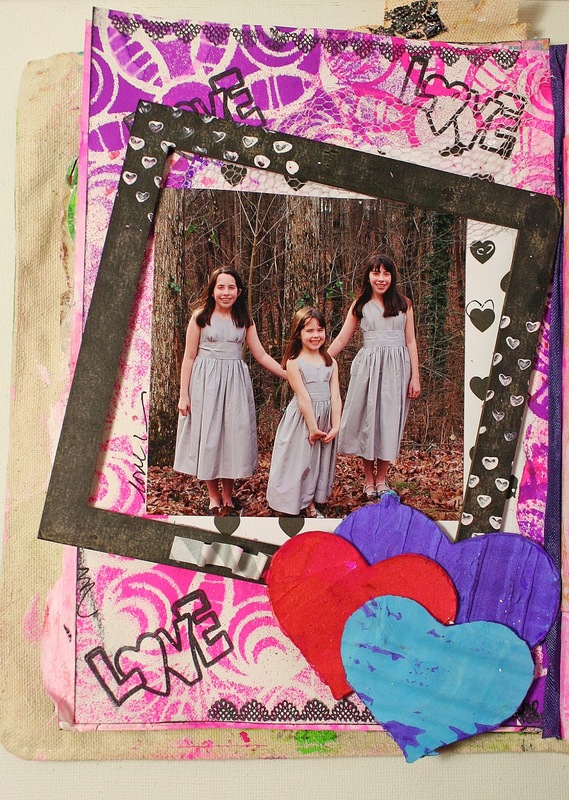 Beautiful page Karen to record your girls, loved reading your post today!